The coat of arms of Murmansk is a rectangular heraldic shield divided into two parts – azure and gold ones. There are golden silhouettes of aurora polaris and a ship in azure field, there is a silhouette of fish in golden field. 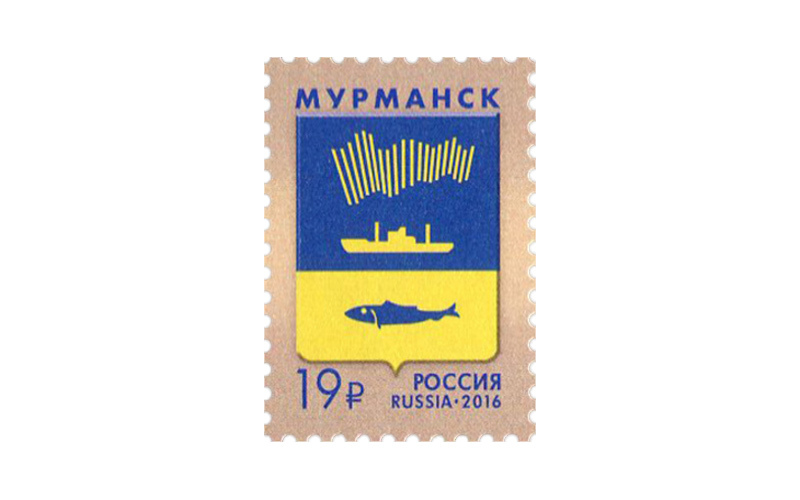 Colours on the shield have the following meanings: azure and gold represent the polar night and the day, the golden colour of the lower part represents the wealth of the seas, which lets Murmansk fishermen earn their living. The silhouette of a ship reflects Murmansk as a major seaport, and a silhouette of fish represents the main industry of the city – the fishing. Aurora polaris underlines the geographical location of the city – in the Arctic Circle. 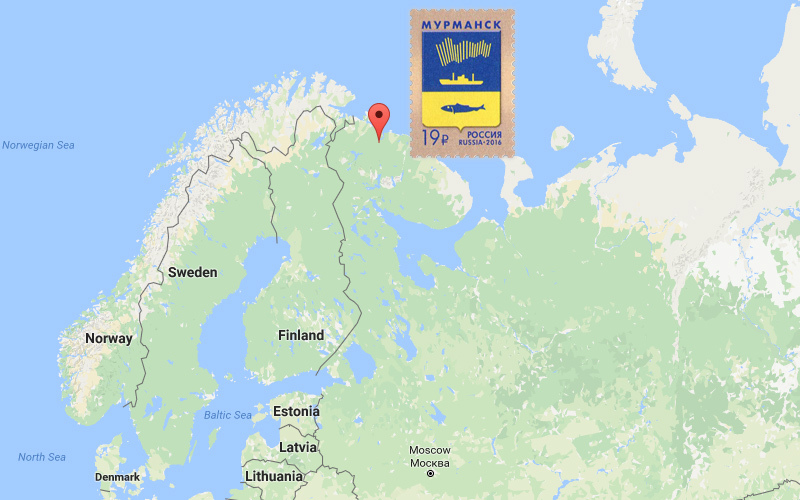 The coat of Murmansk is included in the State Heraldic Register of the Russian Federation with number 738.